Update: Full review is here. 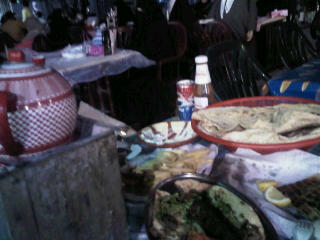 I’m having dinner with friends in Mubarakiya markets. I haven’t been here since atleast ’03 or ’04. Needless to say, my dinner was goooood.